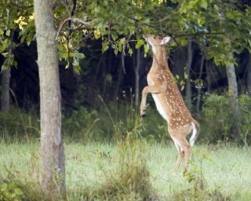 In the southern region of the United States a late bearing fruit tree that occurs naturally can be a gold mine for big deer. It is well known that even during the prime of white oak acorn season that deer still desire a wide variety of things to eat. 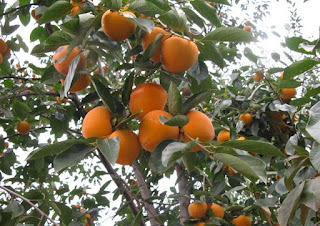 Persimmon trees are the tip of the week. When you hear of persimmons, the first thing you may think of is something so sour that it will curl your bottom lip. The reality is that when persimmons are allowed to ripen, they are very sweet and are a good fit for deer that seem to always have an insatiable sweet tooth. The trees can produce prolific numbers of fruit that are a delicacy for many species of wildlife. 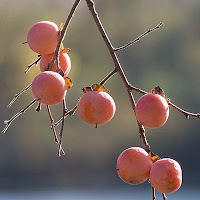 Some real good info on persimmon trees is that the wild native version of the tree grows male and female and you must have several trees in order to produce fruit. It’s not like you can go out and raise the skirt of the tree to figure this out, so during fruiting season it is a great idea to mark the tree with a ribbon or something so you will remember which tree is the female. The tree will begin dropping fruit around October and will continue up until December which is perfect for the deer season. Another thing about persimmons is that deer prefer to eat the fruit that has fallen to the ground is rather over ripe or almost mushy. If you can find a tree, it is possible to collect the fruit, let them ripen to mushiness and then place them out for your herd to devour. As always, be careful that this is not considered baiting if your state does not allow it. If you would rather grow your own trees and place them on your land or lease, you might want to consider the Japanese persimmon tree. The fruit is a bit bigger than the wild variety and both the male and female plants produce fruit, so you don’t have to plant 5-10 to get the desired result. Also, the Japanese variety can tolerate more climate zones and can be utilized by a much larger segment of the U.S. The season is opening here in Louisiana tomorrow and I for one just cannot wait to get into the blind and wait for a big boy to stroll by. Well, Fall is finally here. We are knee deep in Deer Hunting preparations but boy do we have some amazing announcements! First of all, Handicapped Outdoors is now a non-profit organization. We are in the process of gathering some early donations to provide adaptive hunting gear for some of our area groups who take kids and adults on assisted hunts. If you would like to help out with this project, you can donate via a PayPal button below. I am so thankful for my Board of Directors and all of their incredible assistance helping me bring about this very large vision. I also want to personally thank each of you! You have read this blog weekly and made it possible for me to have a sounding board to promote Handicapped Outdoors in a much broader arena. The future success depends on you my friends and I know you will help us continue to grow in readership and followers by sharing the articles and promoting them in each of your personal circles. It will take all of us to attract future sponsors to this big adventure. I also want to thank those of you who have been so good to send me an email sharing with me about a new piece of adaptive equipment or some new novelty to help the average Joe. Thank you from the bottom of my heart! Writing a weekly blog is so much easier when you have a few hundred eyes looking for anything that might help people get back out on the water or in the field. To bless you back, in 2016 we will begin doing some semi-annual drawings for prizes and such. It's going to be fun! Be sure to send me a picture of any big catches or trophy kills you would like to share this Fall. It would thrill me to share your victories with everyone else who follows this site. All too often, people who are drawn to hunting and fishing are known to land on the side of OBSESSION! We talk, think and sleep our love for the outdoors and the many activities that can be enjoyed in it. It is also a time when the obsession can cause some turmoil in our households. The statement, “If Momma ain’t happy, then nobody is happy!” can be all too true as weeks of preparation for the season melt into the season itself. We can spend an inordinate amount of time on stuff that in the end, really isn’t going to matter. Finding a balance is crucial for healthy relationships whether it is with your spouse, kids or even friends. This way, you can still do what you love while letting those you love know it too! Too many mind! Try to focus on where you are and experience life to the fullest right then and there. When you are doing outdoor stuff, be there, enjoy it, give it all you have. The same holds true for when you are with your family. Give them your full, undivided attention. This will give them the knowledge that you care for them just as passionately as the outdoors. Typically your family will support you at a higher level in your adventures when they sense this. 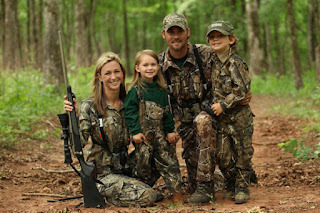 #2 – Plan For Success – Most hunters and fisherman meticulously plan out a trip. We pour over maps and equipment and rehearse in our minds how that trip will work out. However when it comes to the Wife and kids, we can sometimes be callous and think that a trip to just any restaurant or movie will suffice. We should plan something for the whole family with the same energy we use for our obsession. 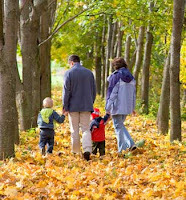 You can be super Husband or Dad, by planning something fun that takes a little thought. This communicates to those you love that they matter just as much as what you love to do. 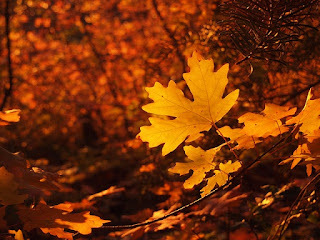 I hope you find your balance as the season is soon upon us. Remember to make Momma happy! 2 weeks ago, my article was all about what a deer can actually see. This week is a continuation of sorts and delves into those amazing ears. Do they have super-human hearing? What can they perceive about their environment through those enormous ears? After doing some digging, here is what I can tell you. In reality, deer hear only about as good as we do. They hear approximately the same exact frequencies as we do. They are little better than humans on the higher end of our range, but all-in-all, they are not Superman or bionic by any means. So, how do they pick up on the slightest noises like they do? Hunters for ages have talked about how a deer busted them for simply touching their bow or releasing a safety on a rifle. The answer is not on the inside, but on the outside. Their ears work like parabolic microphones that you see on the sidelines of football games. A deer can rotate those big receptors independently of each other similar to the way a Chameleon can move it's eyes. These big microphones funnel sound in and help them to hear things directionally much better. When they hear something that peeks their curiosity, they will point their nose towards the sound and extend both ears forward to pin-point it...and they're very, very good at doing this. Once the sound has been pin-pointed, wary bucks have the nasty habit of circling back around and check the sound out from a different angle, especially when the wind is not in their favor. Their sense of smell is far greater than their hearing or eye-sight, so they will move to give themselves the biggest advantage. 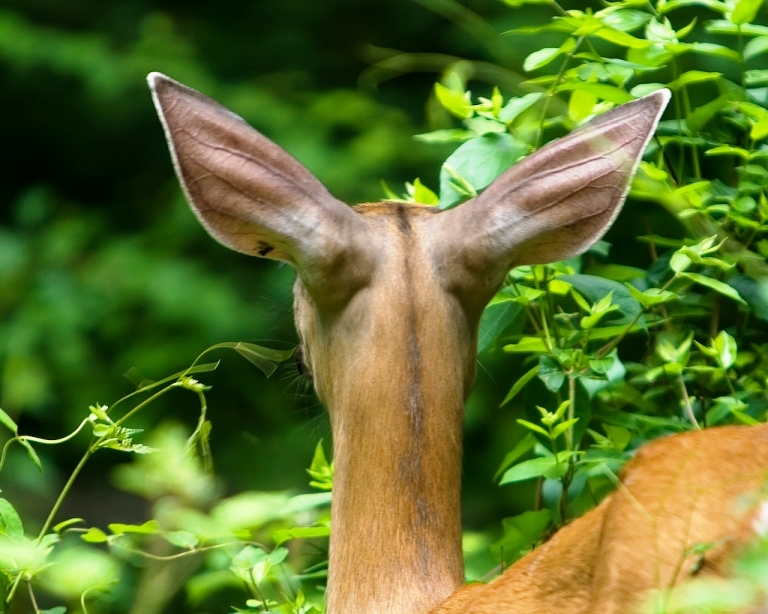 Stated plainly, a deer is very aware of the sounds that their world makes. When they hear something that is not in their "normal", they become cautious and will flee. 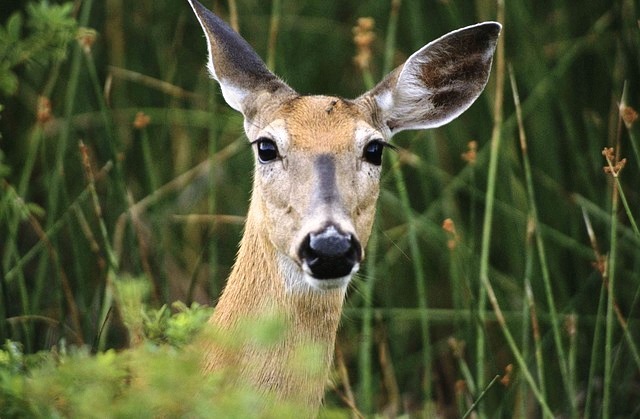 So much of what a deer hears is based on where they live. 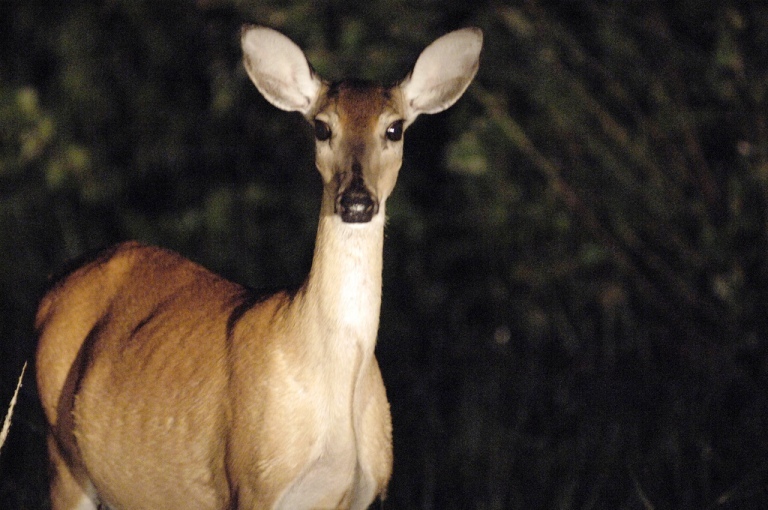 If a deer is accustomed to human sounds, then they will be less cautious when they hear human activity. It's normal. However, if you suddenly go to a much wilder hunting location and make the same noises you do in suburbia, then you are bound to get busted again and again. I think the video below by Dr. Grant Woods sums up this article nicely and can helps us gain a better understanding on how we can mask the sounds that we make better. Enjoy! 1. 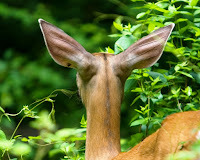 Tink's - How Well Do Deer Hear? Cars, swing sets, groomed lawns with manicured landscaping are just a few of the things you will encounter when stalking the suburbs for your next trophy buck. As cities sprawl out and encounter deer habitat, more and more bow and crossbow hunters have stopped driving long distances to hunt. Instead, they take to their backyards or the end of their street. This type of hunting has become a bigger and brighter blip on my radar as a disabled outdoorsman. Imagine bagging a trophy deer 5 minutes from your house while not having to go off-roading in your wheelchair to do it. We are not talking small at all. These guys are typically less pressured and get the time to grow into their potential. Cha-ching…I’m in! So let’s get down to the nitty-gritty. What are the secrets to tagging a backyard bruiser? The first offensive play is to just be a good listener. Many people love to brag about seeing deer in and around their neighborhoods. 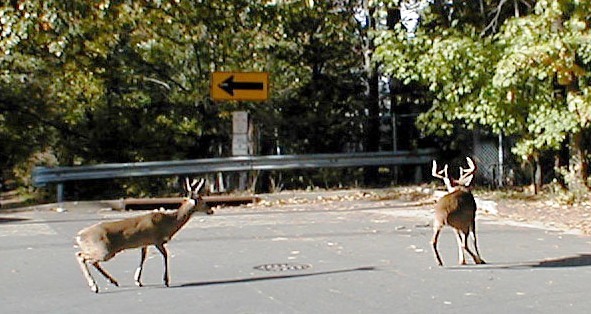 Postal workers are driving everyday and can be a wealth of information on where they see deer frequently and can help you locate possible travel corridors. In other words, learn to ask the right questions that do not tip your hand that you intend to harvest an animal that everyone else just loves to look at. Ask and listen. Secondly, Google maps can help you big time. The satellite photo above is of the school where I work. People routinely talk about seeing deer in their yards all along the main road. This is dead in the center of the west side of Shreveport, LA with a big Wal-Mart not even 2 miles away. 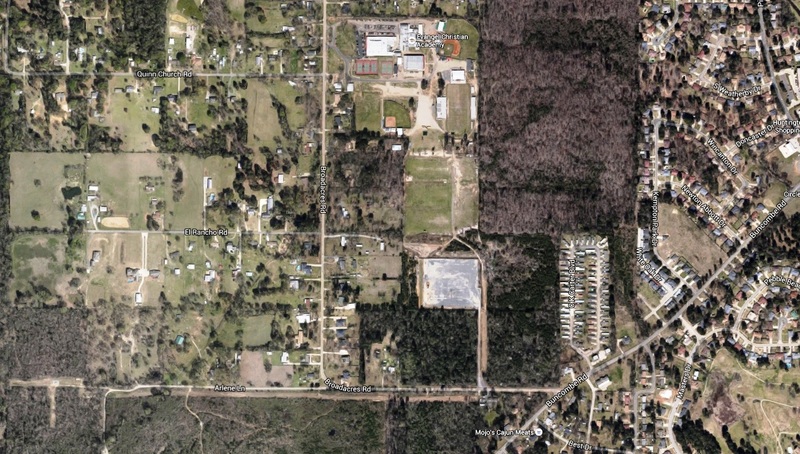 The wood-line you see at the bottom of the photo is not the edge of rural America. It is simply a big stand of woods that hold lots of deer. A giant 8-point has been witnessed on multiple occasions. The aerial shots will reveal the narrow wooded sections that “connect the dots” that the deer are using as travel corridors to come and go in the area. The placement of a feeder and a camera (concealed so someone doesn’t liberate you from it) will give you a precise idea of the size and density of the population you are hunting. Third, find the folks who see the deer as more of a nuisance than others. Deer love to munch on the several hundreds of dollars planted in the flower beds out front. Some owners will gladly let you thin the herd to help save the roses. Lastly, use wisdom. Be sure that the laws are on your side. We live in a very sensitive day and age. People can and will get offended by the concept of harvesting a deer. If done correctly and discretely, that never has to happen. I would recommend your own property first. 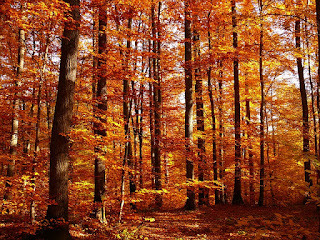 If you are using someones property that you either know or have asked permission, try to pick an area of the property that is not easily visible from a road way or the neighbors. In the video below, a classic suburban hunt takes place on a golf course. The golfer at the end of the video gives you some idea of just one of the many reactions you might encounter in this endeavor.